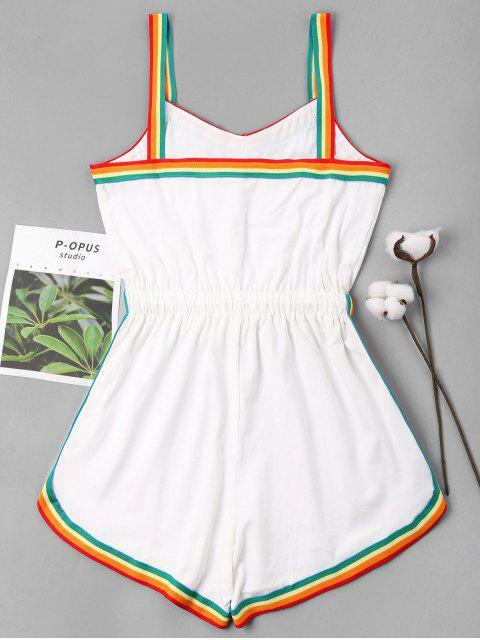 [38% OFF] 2019 Rainbow Trim Drawstring Cami Romper In WHITE | ZAFUL ..
it fits perfect and is so comfortable! great material. i’m 5’0 120 lbs and ordered a medium, i prefer a looser fit and i absolutely love it. can’t wait to wear to a reggae fest next month! Love it! I was worried about getting clothes online so I got a size bigger than my normal size and it fits great. 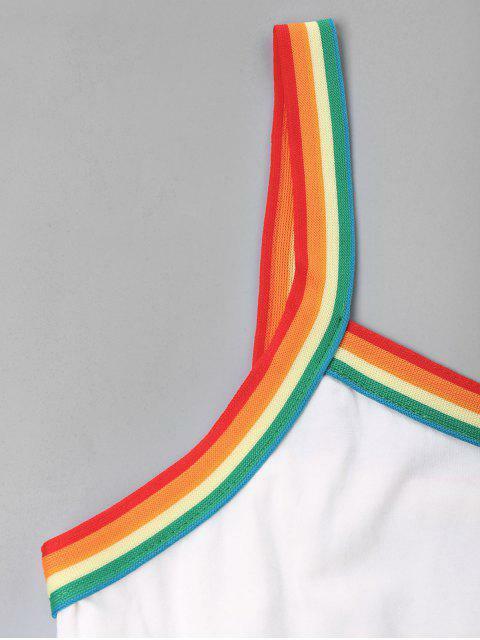 Easy to grab eyes with bright rainbow trims, this casual romper is designed with high-rise waist to elongate the legs and drawstring tie closure for a suitable fit. The sleeveless relaxed-fit silhouette and the comfortable fabric are sure to keep you comfy and cosy on hot summer days. A perfect piece for strolling outside or going shopping at weekends!